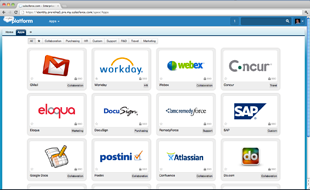 A cloud directory with user profiles, workflows and administration. Directory integration and support for Active Directory. Single sign-on, integration with Salesforce Chatter and social feeds, mobile identity and social sign-ons via Facebook, Google, Amazon and Paypal. Policies based on device such as mobile or PC.